Providing you the best range of trolley wheels for textile industry and pallet truck load rollers with effective & timely delivery. 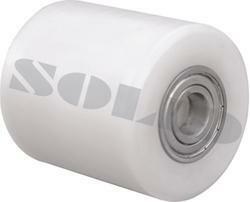 Being the leaders in the industry, we offer Trolley Wheels for textile Industry to our clients. They are available in different sizes .Their weight ranges from 85 kilograms to 1850 kilograms and are presented at the best rates in the industry. Additionally, they can be used in in-house Textile box batching and other industrial applications. Backed with a team of highly qualified professionals, we offer Pallet Truck Load Rollers (Series 904 - UHMW Rollers) to our clients. It is used for ball bearing fitting and differs greatly in its size. 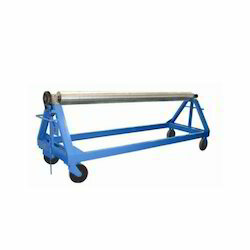 This roller in non detachable and is manufactured using premium grade raw material procured from trusted and reliable dealers. Its weight range is 760 kilogram to 1540 kilograms and is available in the normal rates.